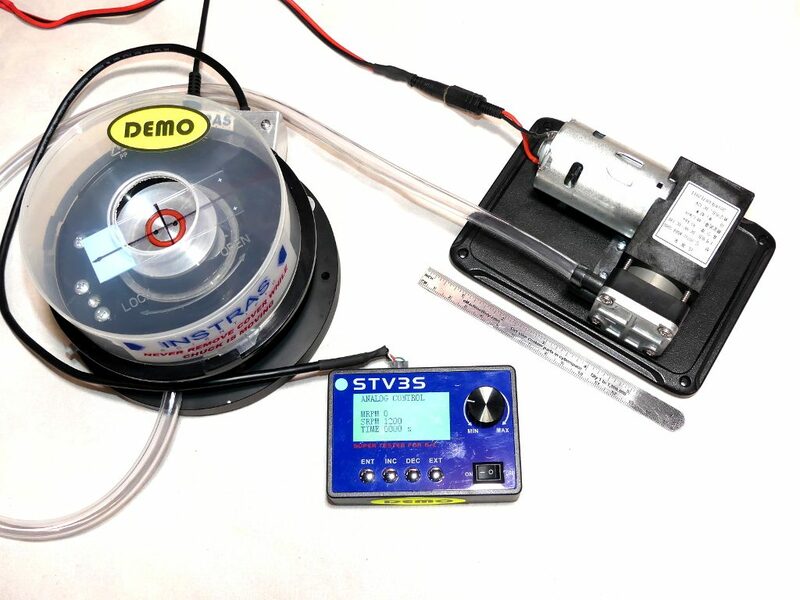 Recently we noticed a number of eBay listing for new low-cost (~$30), micro vacuum pumps which look like they might work with the SCK-300P. Typically, such small pumps do not have the required air-flow/vacuum pull, however, the specification of those suggested they do. After ordering a few units from China, and a two week wait, our testing indicates they actually work OK. A standard 75 mm x 25 mm microscope glass slides is held firmly at speeds up to 5,000+ rpms for 10+ minutes. That performance should fine for most spin coating work. So if you are looking for a cheap and compact vacuum pump system, that’s one way to go. 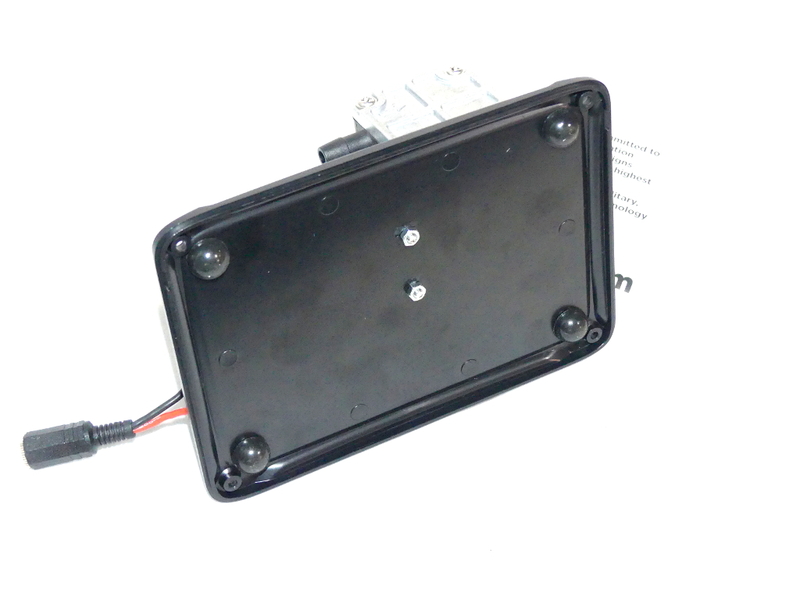 All that’s needed is to mount them on a suitable platform (A plastic box cover with rubber bumpers was used), and wire them up to a 5 amp/12V power supply with an Inline Switch. These little pumps are a bit noisy though and we are not sure how long they will ultimately last.